Jessica Garrett Modkins’ career has evolved into that of a modern-day renaissance woman. Her mastery of several disciplines has lead to successful careers as an Executive in the following professions: broadcast news, consumer marketing, and the music industry. Jessica has served as the News Director for WEDR 99.1 FM, Miami, Fl. ; as a news reporter for WAAP TV-16, Snow Camp, North Carolina; WNAA 90.1 FM, Greensboro, NC; ; and as a DJ at WRBD, 1470 AM Fort Lauderdale, FL; WRSV, 97.1 FM Atlanta, GA.; and WFKZ 102 FM, Islamorada, Florida. After working as a Marketing Director for an Agency and spearheading promotions and initiatives for Verizon Wireless, Hpnotiq, Crest WhiteStripes and the Magic Johnson Foundation, Jessica founded the advertisement agency, Hip Rock Star. She has been able to produce forward thinking ad campaigns, communication plans, marketing initiatives, and innovative branding strategies for clients such as Thomas Nelson Publishing, Televangelist Dr. Charles Stanley, and Pepsi-Cola North America. 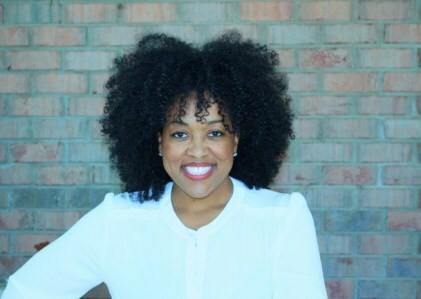 As a music executive, Jessica oversaw the music career of gospel hip hop artist Canton Jones. Jessica’s drive for music led to four albums charting on The Billboard Music chart. Canton Jones’ Kingdom Business album sustained over 50 weeks at #1 under her direction as the General Manager for World Changers Church International’s Arrow Records/Universal Records, owned by Taffi L. Dollar. As a Television Production Instructor, she directed over 1,000 closed circuit news broadcast and was honored as the “Beginning Teacher of the Year” for Homestead Senior High School for 1998 and the Miami-Dade Public School, “Region 6 Beginning Teacher of the Year” for 1998. She has served as the Vice-President and Special Events Chairman for the Atlanta Alumni Chapter for North Carolina A&T State University, the National Academy of the Recording Arts & Sciences’ Gospel Screening Committee, and on the Executive Board for the Atlanta Alumni Chapter of North Carolina A&T State University. She has been recognized for her leadership by the Miami Black Archives, and countless Miami Dade County Public Schools. Currently, she is getting her Master’s of Science in Integrated Marketing Communication at the P.I. Reed School of Journalism at West Virginia University. She is a member of Alpha Kappa Alpha Sorority, Incorporated, and is the co-author of Images of America: Miami’s Richmond Heights. She has also authored 31 Days of Prayer for Baby, and 31 Days of Prayer for Women. She lives in Atlanta, Georgia with her husband Roy and their two children; Dallas Garrett and Harper Day.